On the mantle of my bed I have a planetarium (Sega HomeStar) that projects the night sky onto my ceiling. Every other night or so, I turn this on when I’m relaxing into sleep. It allows me to star up at the stars, forget about the day, and contemplate the vast, unending beauty of the universe we live in. It is hard to look at the sky without your brain searching it for patterns (after all the brain is a pattern finding machine). The brain cannot help but try to connect the dots in a futile search for meaning and familiar shapes. 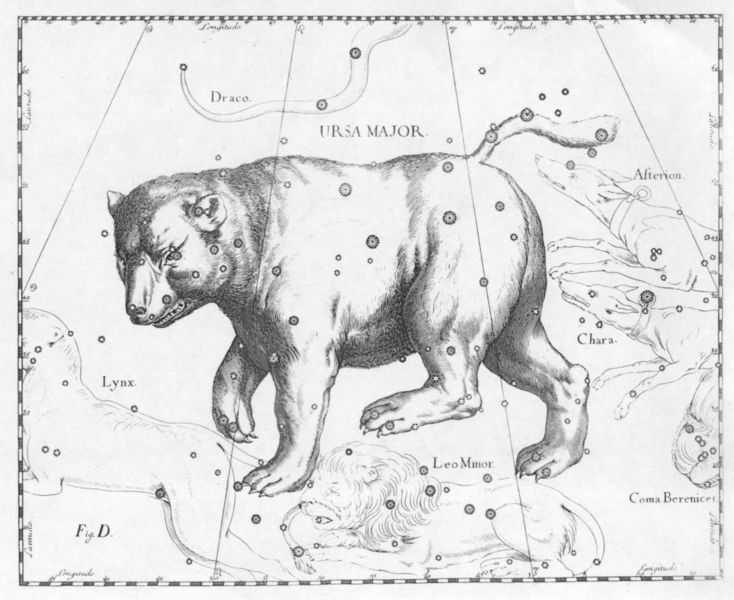 Seven of the brightest stars in the northern hemisphere form what we call Ursa-Major – Latin for “The big bear”. I for one, and most people I know never can see any bear shape at all in those stars, so we call it The Big Dipper instead. 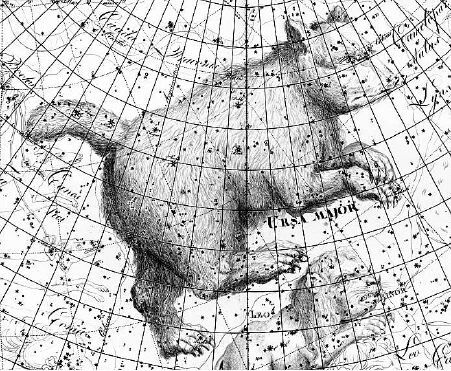 First, there are actually 20 stars that make up the bear, and the “big dipper” is just his rump and tail – that’s right I said “tail”. Second, bears don’t have tails. Why does this bear have a tail? Artists have been drawing this “bear with a tail” for centuries. Interestingly, many American Indian tribes who never heard the Greek story, also knew these seven stars as part of a large bear. 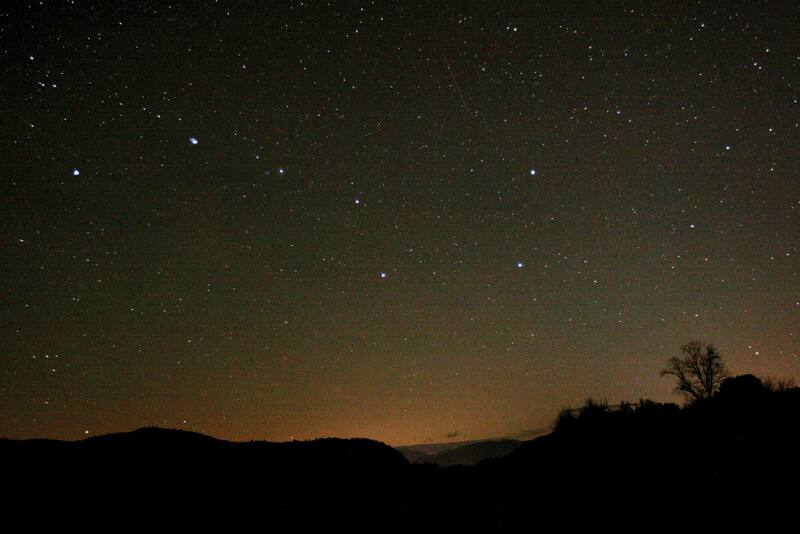 They saw the three stars of the Dipper’s handle not as a tail, but as three boys chasing a bear. A much better story if you ask me. 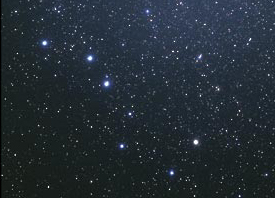 To see how other cultures saw these stars, check out this nice site.